This year at Howe Manning, 4th and 6th grade students are helping to pilot a new innovative arts curriculum called Artovation. It is an arts based class with so much more! Artovation will integrate STEAM, Makerspace, and project based learning into to the art room. We're off to a great start. Check out our first challenge. This project was inspired by art teacher, Jenny Knappenberger. Click here to learn more about her approach. 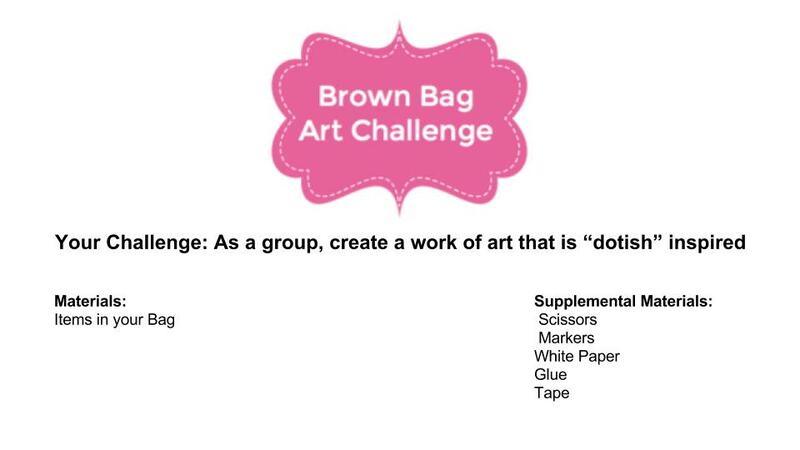 We put a "DOT" spin on our brown bag art challenge. Each group had a different material to use; clay, popsicle sticks, cardboard, pipe cleaners, or curling ribbon. It was wonderful to see how each group tackled this problem in a different way. Check out a few of our finished products and the students at work. See if you can find how a dot influences each work! Next time you're at Howe Manning come and see our Dot Gallery in person.